Ivar's is a classic Seattle restaurant - but newcomers might not know the history of this much-loved seafood business! Seafood equals Seattle. And Seattle equals seafood. So it's no surprise that one of Seattle's most loved institutions is a seafood restaurant. Ivar's got its start back in 1938, when Seattle renaissance man Ivar Haglund opened an aquarium on the Seattle waterfront. He sold fish n' chips and chowder to his customers, and soon realized his food was selling better than the aquarium tickets. Thus, in 1946, the Acres of Clams restaurant was born. 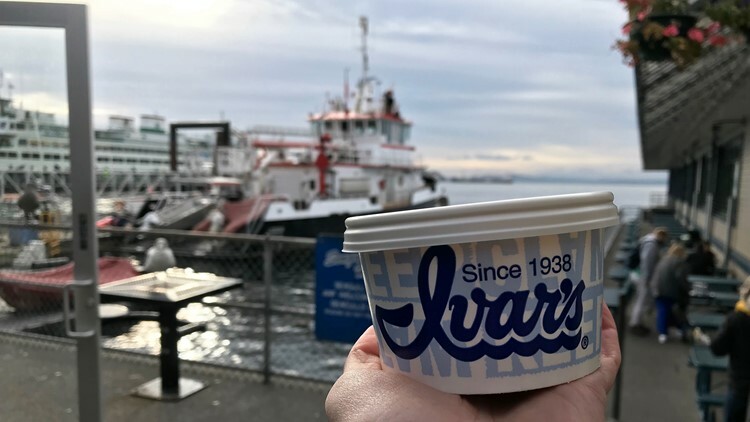 Now, Ivar's is everywhere in the Puget Sound. They have 25 locations in Washington and sell their clam chowder in thousands of places in the United States and Canada. Ivar's legendary clam chowder is much-loved by its customers. Besides their clam chowder, their fish n' chips are a much-loved menu item. All of their fish is wild-caught, and the fish is fried up fresh when you order. It's also a much-loved treat for the seagulls who sit outside the Ivar's Fish Bar on the Seattle waterfront. And yes, feeding them is encouraged. Because you know we had to get that fish n' chips close-up. Ivar's motto is "Keep Clam". It's both a location and a way of life, and the motto of the original Ivar Haglund. If you stop by Acres of Clams on the Seattle waterfront, you'll see a statue of Ivar surrounded by seagulls. While Ivar himself has passed on, his spirit continues in the restaurants. 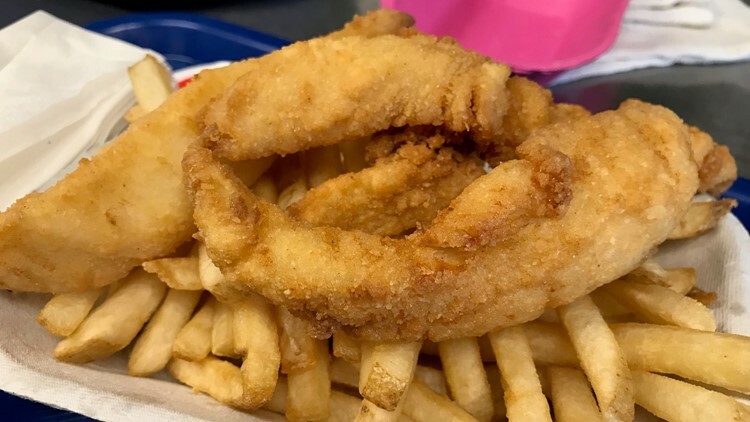 Ivar's was voted BEST SEAFOOD in 2018's Best of Western Washington viewer's poll. KING 5's Evening celebrates the Northwest. Watch it weeknights at 7:30 or streaming live on KING5.com. Connect with us via Facebook, Twitter, Instagram or Email.